Adrian serves as Taft’s first Chief Diversity Officer. In this role, he leads the firm’s commitment and strategy regarding diversity and inclusion across Taft’s 10 offices. He also co-chairs Taft’s diversity and inclusion committee, a group of 18 attorneys and senior staff who collaborate to create initiatives toward a comprehensive mindset of inclusiveness in the firm’s thinking and actions. Adrian also helps to develop and oversee the implementation of policies and programs designed to recruit, train and retain a diverse workforce, thereby guiding Taft to become an employer of choice. 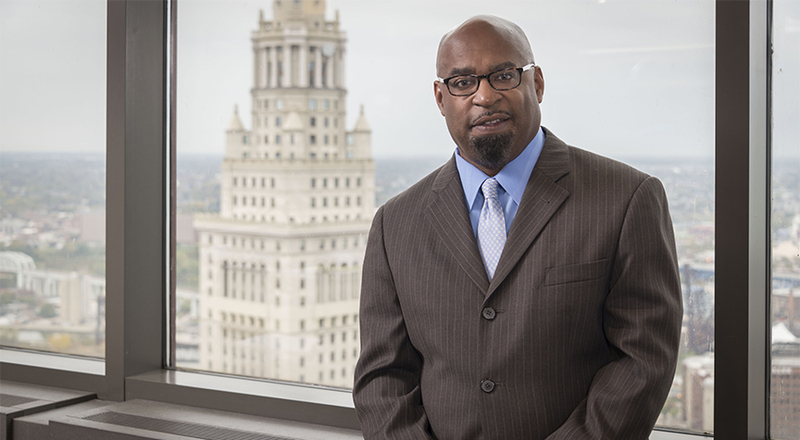 In addition to his role as CDO, Adrian is co-partner-in-charge of Taft's Cleveland office and maintains a full-time practice in the Employment Law and Education practices. He is also a member of the firm’s executive committee. Being the firm’s spokesperson on topics related to diversity and inclusion. Creating an environment where implicit bias is openly discussed and understood and does not distort opportunities for inclusion. Articulating, promoting and reinforcing Taft’s mandate for diversity and inclusion and commitment toward creating a culture of inclusion for all Taft team members. Encouraging Taft attorneys to be thought leaders and change agents in the communities where they work and live. Serving as a resource, mentor and advisor to Taft leadership teams and personnel. Implementing best practices across Taft’s offices. Participating in professional organizations and networks that promote diversity and inclusion.